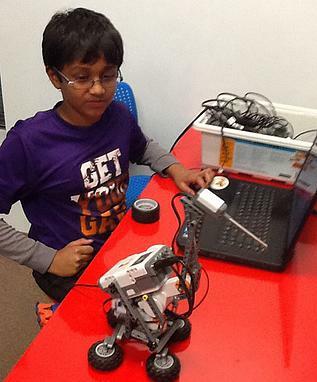 Nikhil Kumar has been a part of Science Cosmos for over a year and continues to look forward to every class. During his time here, he has been able to complete three curriculums and is well into his fourth curriculum! 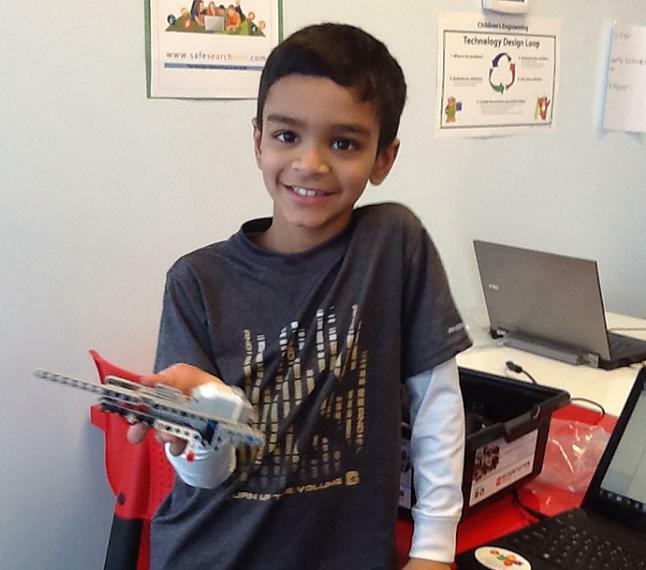 Nikhil will continue to impress us here at Science Cosmos. 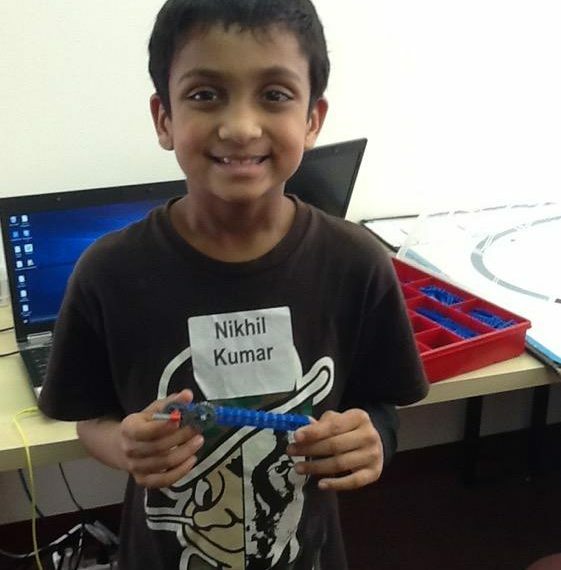 We hope to continue having Nikhil in our program for years to come! Nidhi Bharadwaj is the Science Mind of the Month in Chantilly for January 2016. Nidhi has been with Science Cosmos for quite some time now and she continues to impress every week. 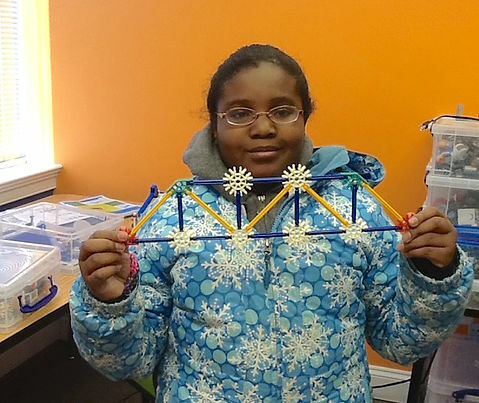 Her positive attitude has allowed her to excel in both the Intermediate STEM and programming curriculums. 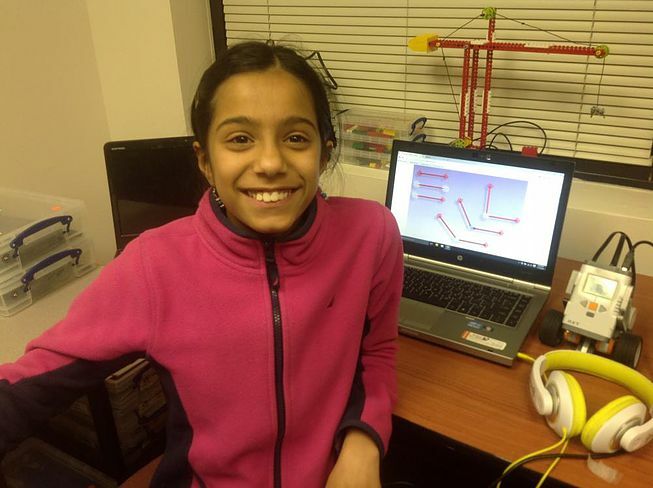 She has recently completed the NXT curriculum which has allowed her to advance to the more rigorous EV3 curriculum. While working on her projects, she enjoys to add her own special touch to her work. When finished with her projects, she will often create short stories with her robot’s display screen in order to enlighten the class. She is a joy to have in the classroom and we are sure that Nidhi will only continue to advance to higher levels of programming. Arjun Jothiramalingam is the Science Mind of the Month in Chantilly for July 2015. 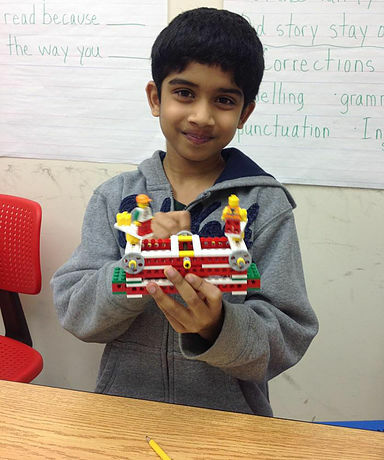 Arjun has been with us for over a year now and he is always a joy to have in the classroom. 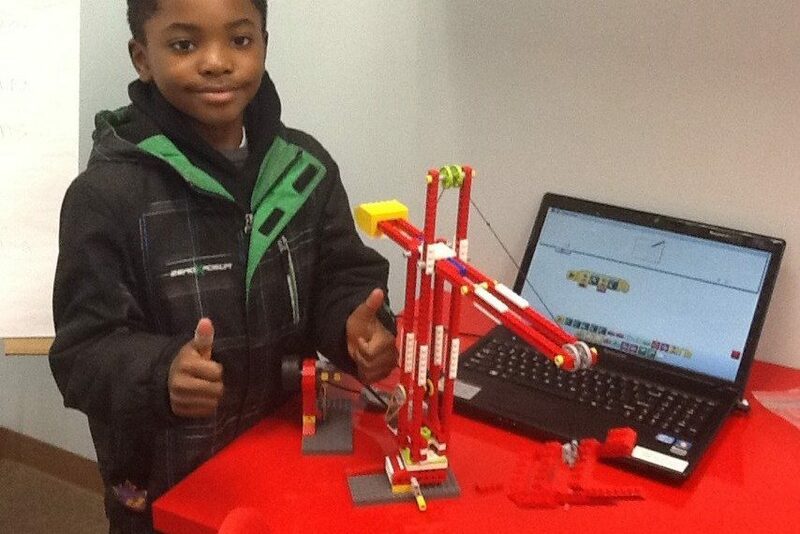 He has worked on various curriculums like Robotics, Renewable Energy, Intermediate STEM, and NXT. His favorite is the Renewable energy Curriculum. Xavier and Griffin are the Science Mind’s of the Month for May. The brothers are our students in Chantilly. Both are enthusiastic about their work. They love coming to Science Cosmos and are always happy to take on any challenge that we throw at them with positivity. They are both eager to learn and complete their work without much effort. Xavier and Griffin have been learning about STEM using legos. They completed the Intermediate STEM Course and learnt about simple machines. Xavier and Griffin have also worked on the introductory robotics course and have learned to program the robots using a graphical interface. See the pictures in the album showcasing some of the cool modes they built. 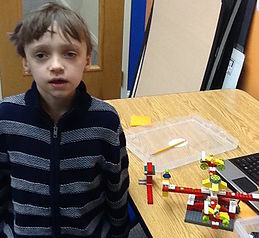 Samsher is our student (Electron) at the Ashburn Center. 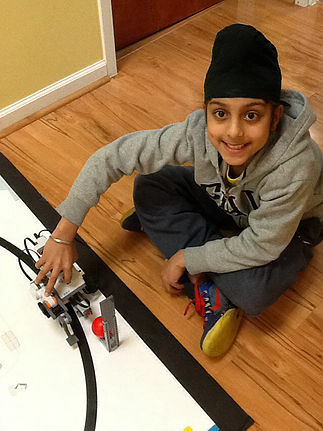 He loves to work on programming his NXT models and build Cool Robots. He started off as a Neutron and mastered the Into Robotics courses and graduated to the intermediate robotics course. Samsher is a fourth grade student who has been a member of our Science Cosmos Family for over two years. He loves to build with the variety of materials we have and always looks for the purpose and leaning component of his builds. When Asked, he says that math is his favorite subject in school. 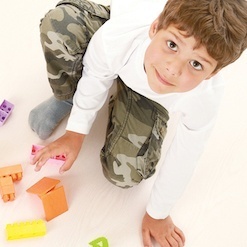 He is a very active young man and loves to play with his Science Cosmos friends in our gym after class. He is a friend to everyone and has made many friends at Science Cosmos and we look forward to his participation each week. He and his sister were students at the Chantilly center before they transferred. See his photo album and look at the cool models he build. To recognize him you can Like and comment on our Facebook post about him. See his photo album HERE. See Taylors COOL ROBOT ARM! Taylor is one of our most advanced Science Mind. She is well versed in STEM, the concepts of simple machines and the basics of programming. At the young age of 11 she has designed, built and programmed her very own robotic arm that is capable of seeing and lifting objects. We are very proud of young taylor and we wish her the very best for her future, here at science cosmos and after. We are proud of you. If you would like to see more of her , see her photo album. 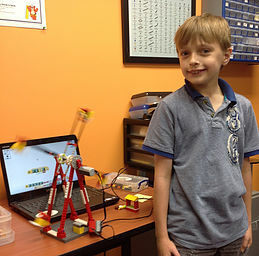 Taylor had participated in FLL competitions.